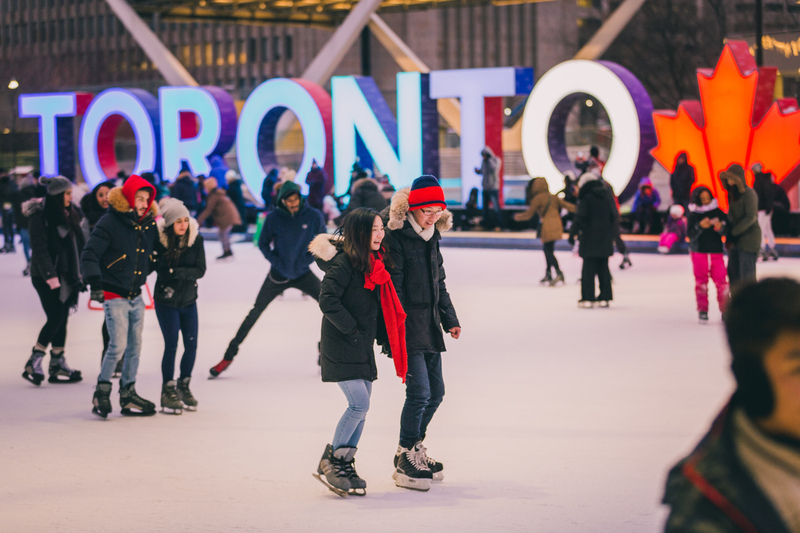 The holiday season in Toronto is a time for family, fun, and festivities. The city is transformed into a winter wonderland filled with sparkling lights, outdoor skating rinks, singing elves, giant trees, wondrous window displays, and holiday performances. Whether you’re looking for free things to do, shows and performances, markets and fairs, or just winter-themed activities, you’ve come to the right place, our Toronto winter bucket list has it all. 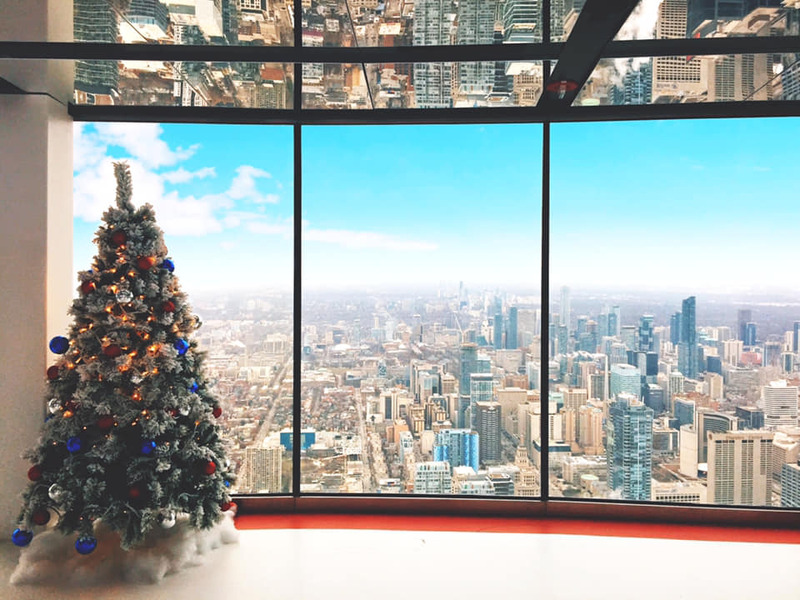 With its stunning vistas and gently revolving view overlooking the city of Toronto more than 1,000 ft below, the 360 Restaurant is the perfect starting point for your Toronto winter bucket list. 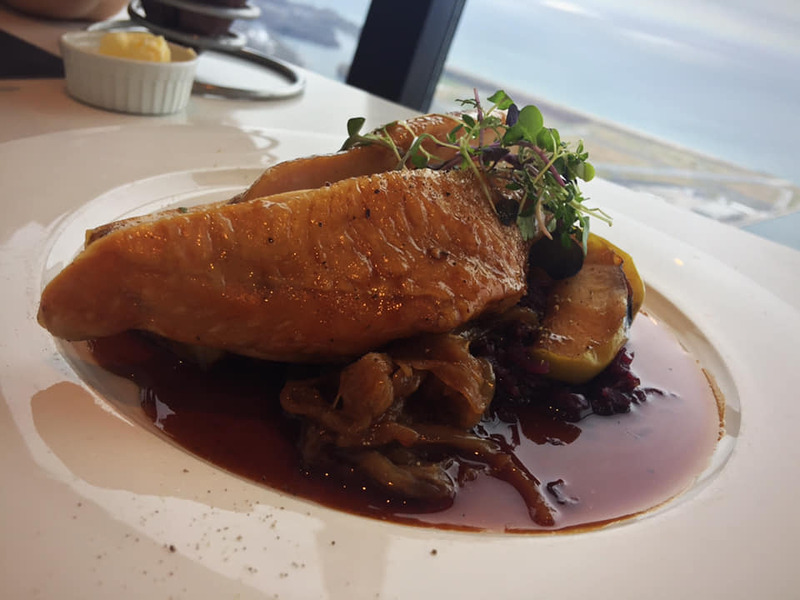 A reservation at 360 also allows you access to the spectacular views from the world-famous Glass Floor, SkyPod, and glass fronted elevators with glass floor panels. Get the lay of the land from above before you explore down below. 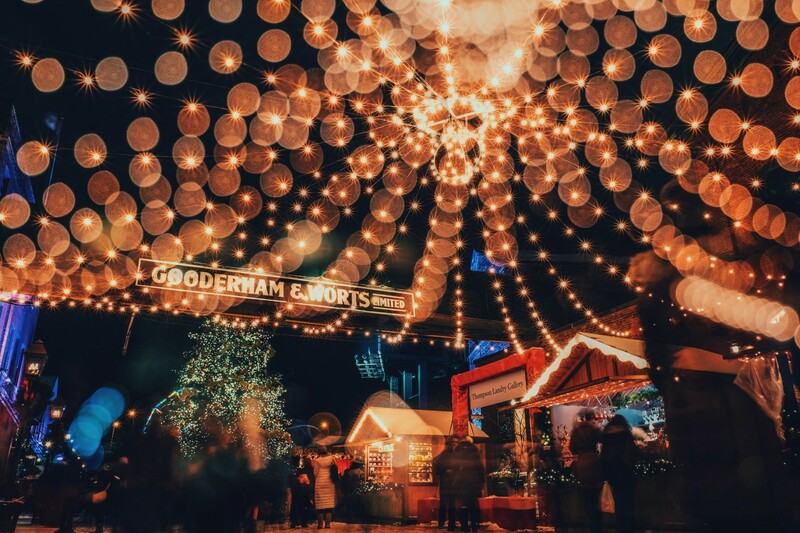 It wouldn’t be a Toronto winter bucket list without the Toronto Christmas Market. The Toronto Christmas Market is a five week-long event celebrating the sights, sounds, and scents of Christmas. 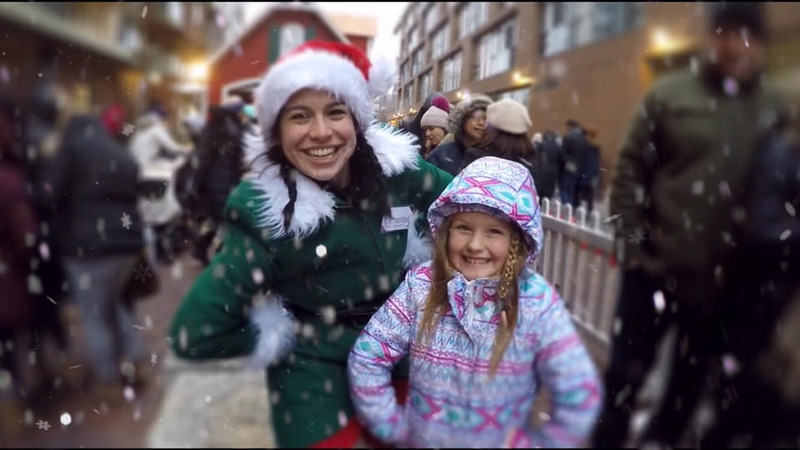 Set in the Distillery Historic District, the Market brings together local craftspeople, musicians, artisanal food-makers, and even dancing elves for a truly festive experience. While the entire Market is a wondrous event, the elves at the Santa stand made us giddy with winter delight. They sang, they danced, and they told magical tales to make all the children, and adults, laugh and smile. 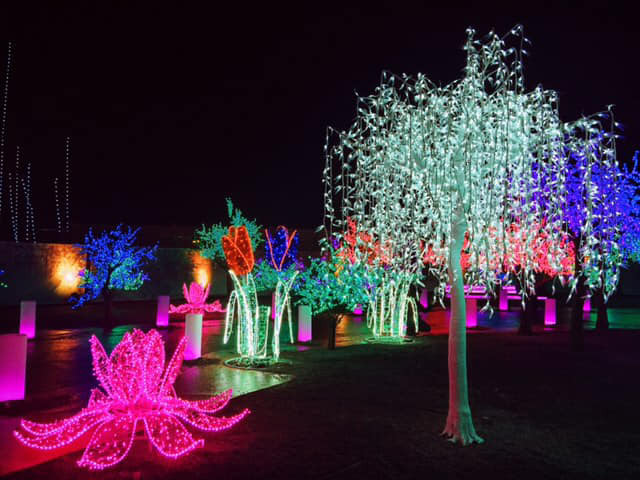 This holiday season, Toronto’s Ontario Place has been transformed into a magical winter wonderland. 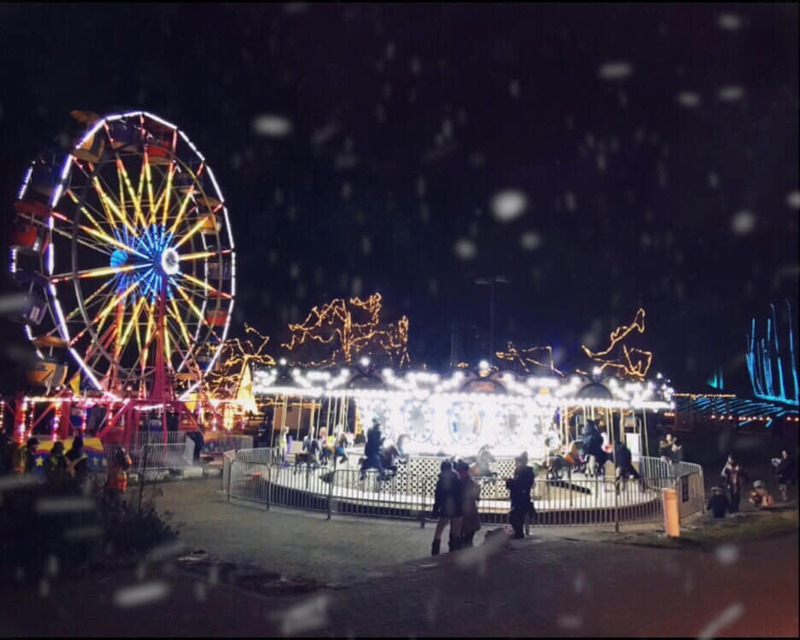 Beyond the Mystical Worlds of sparkling light displays, the Aurora Winter Festival is home to a number of exciting attractions and rides like a 180 foot tube park, a 60 foot ferris wheel, and a choo-choo train. It also houses a beautiful skating rink, food gardens, a shopping market, and fire pits to warm your hands and your soul. Downtown’s newest waterfront destination, Hotel X Toronto, redefines the luxury hotel experience. It provides extraordinary waterfront and iconic city skyline views, exquisite dining, extraordinary events, expansive tennis, fitness, and wellness facilities, fun kids club, exclusive theatres, and an art gallery. Even though the list of amenities is expansive, there’s a unique reason Hotel X Toronto made our Toronto winter bucket list. 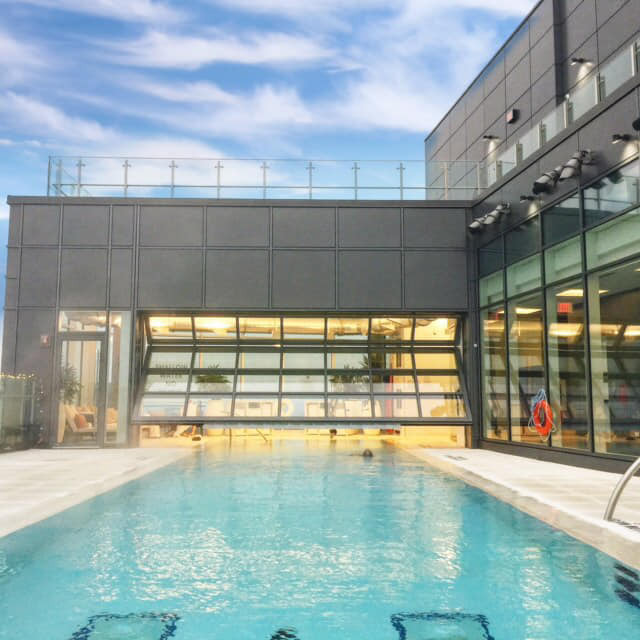 We dream of outdoor swimming all year round, which isn’t easy in Canadian winters, but Hotel X Toronto allows us to do just that! The Pond Rooftop Pool is a 55 ft partially indoor, partially outdoor rooftop pool that is open to hotel guests and is available year-round. City Hall, the Toronto sign, a Christmas tree, a skating rink, and a Fair can all be found at the Square. Part Christmas market and part carnival, you can shop for unique gifts, ride a carousel, go for a skate, or enjoy a festive cocktail at the ice bar. 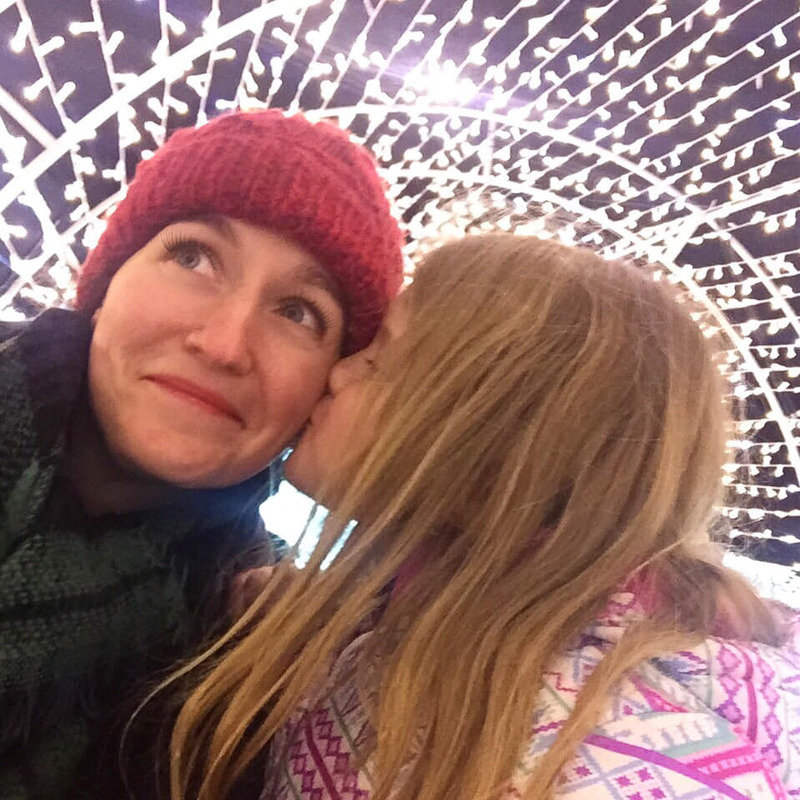 And the best part – admission is free so if you’re looking for a fun day or night on a budget, Nathan Phillips Square fits your Toronto winter bucket list. On the days that you want to escape the outdoors or just visit another magical world of wonder, head to Ripley’s Aquarium of Canada, the largest indoor aquarium in the nation. It’s open all year, but so impressive that we couldn’t leave it off our Toronto winter bucket list. 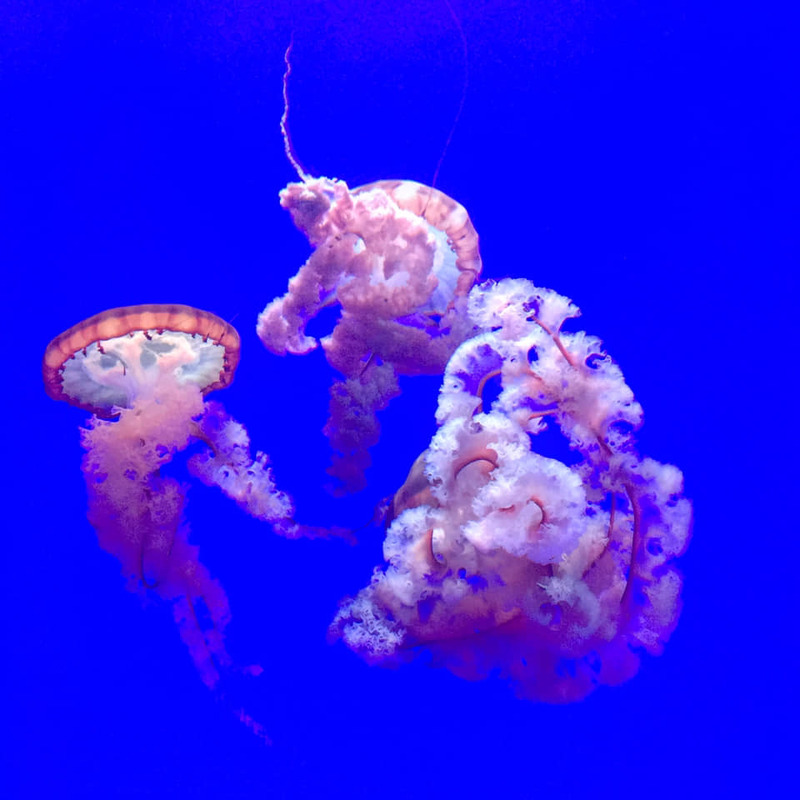 We’d recommend leaving plenty of time for visiting the aquarium because you’ll be mesmerized by so many of the exhibits that you won’t want to leave. 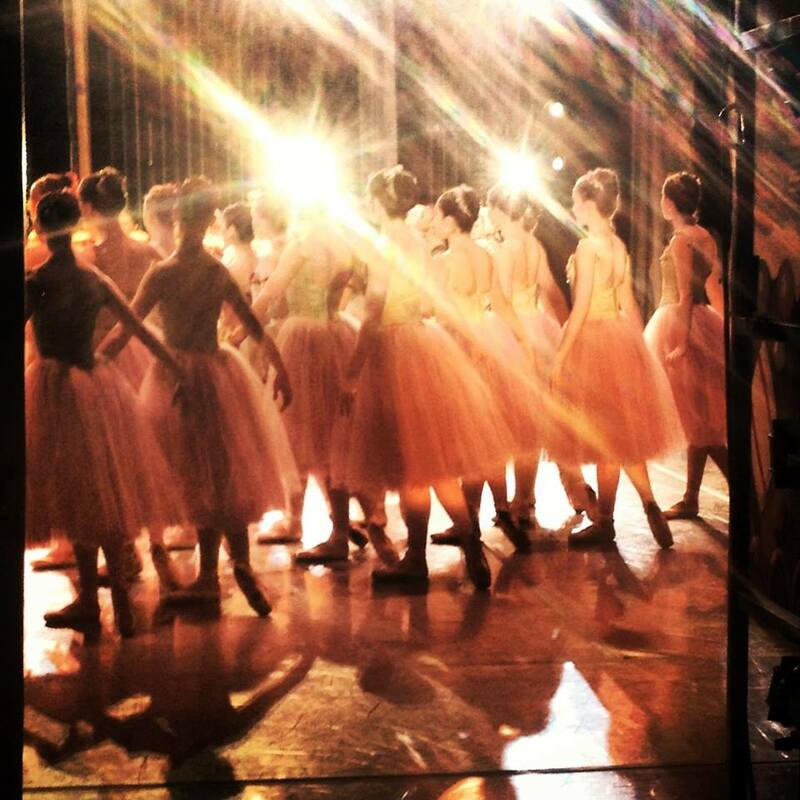 Toronto is a hub for remarkable performances and productions and winter is no exception. 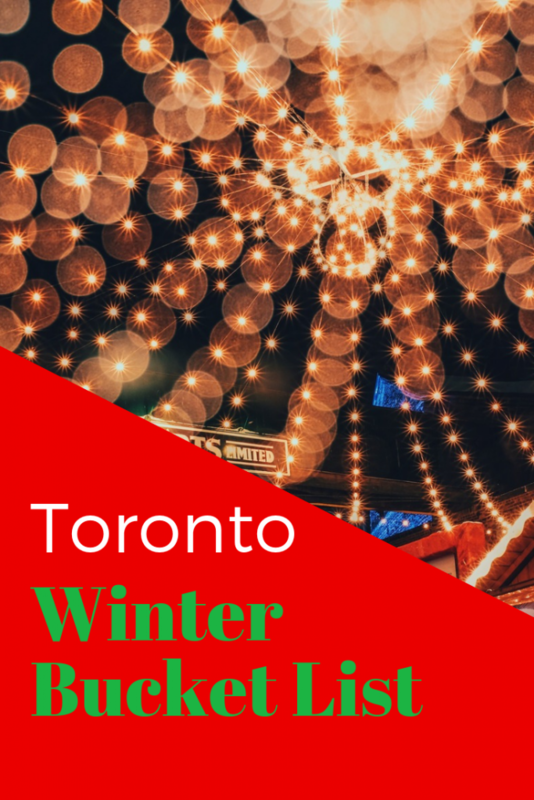 From The Nutcracker and the Wizard of Oz to the Toronto Symphony Orchestra, we’re certain you’ll find a performance to add to your Toronto winter bucket list. If you want to experience non-holiday focused theatre in Toronto, the winning ticket is Charlie And The Chocolate Factory – The Musical. It’s the perfect recipe for a delectable Toronto winter bucket list treat. There are songs from the original film alongside a new score from the songwriters of Hairspray. It will be at the Princess of Wales Theatre until January 6th. 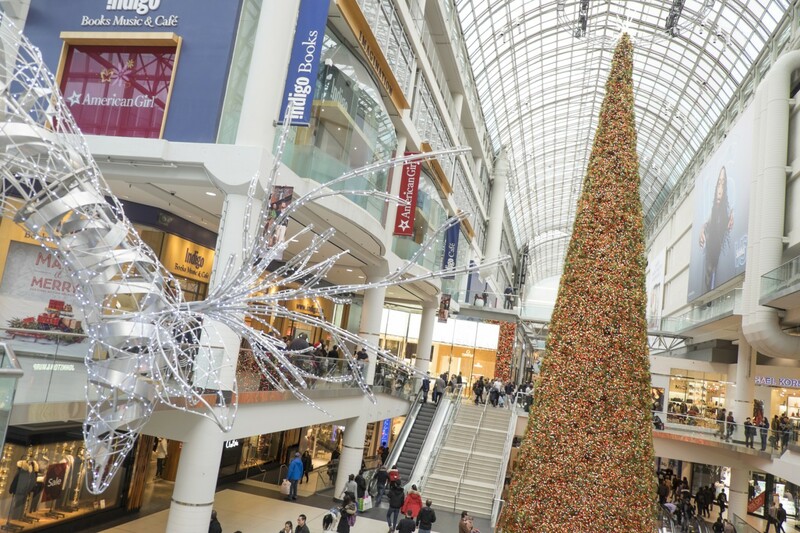 The Eaton’s Centre gargantuan 100-foot Christmas tree is back for another year of twinkling and sparkling. Even if you don’t like shopping, add this stop to your list for giant festive spirit. If you’re still looking for more inspiration for your Toronto winter bucket list, check out Toronto Tourism for winter itineraries, trip ideas, and to-do lists. May the winter wonderland of Toronto be at your doorstep.